For those who seek to maintain their crop’s organic status, our line of organic products uses only materials approved for use under the USDA National Organic Program Standard. 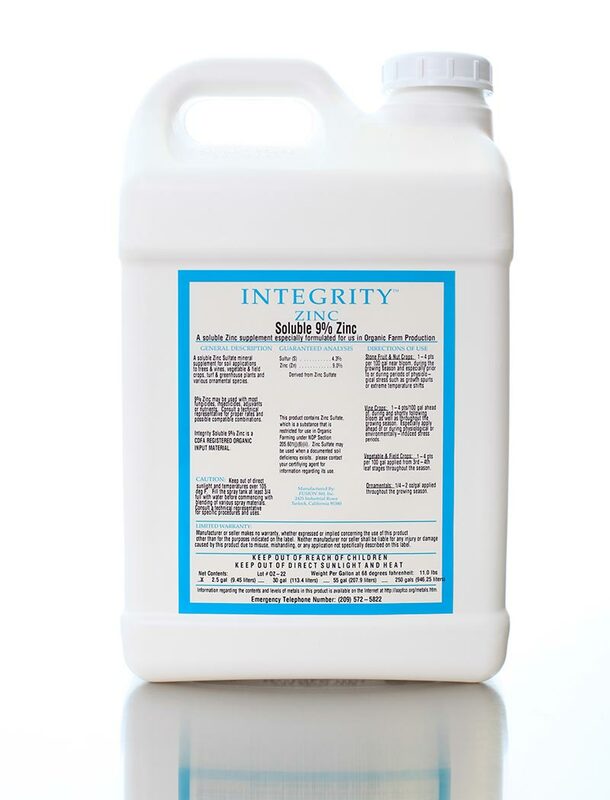 Integrity Soluble 9% Zinc is a superior nutritional formulation designed specifically to be high in solubility and to avoid undesirable interactions with other nutrients that can result in decreased efficacy. High solubility coupled with low interaction qualities allow the grower to use a fraction of the amount necessary with alternative products, while still securing the desired level of efficacy.